Dr. Greene and his staff maintain the highest levels of accreditation and pursue ongoing medical education to stay abreast of the latest medical and surgical developments in podiatric medicine and surgery. Central Massachusetts Foot Specialists Inc.
Dr. Greene is a member of the American Podiatric Medical Association (APMA), and an associate of the American College of Foot and Ankle Surgeons. 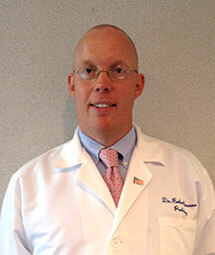 He is an active member of the Massachusetts Podiatric Medical Society. He is an adjunct instructor of Health Sciences at Worcester State University, as well as an attending physician in the Saint Vincent Hospital Podiatric Surgical Residency Program, the only accredited three year residency program in the Worcester area. He maintains active membership on the medical staffs of Saint Vincent Hospital, UMASS/ Memorial HealthCare, and HealthAlliance Hospital in Leominster. He also serves on the Board of Directors at the Worcester Surgical Center, a freestanding outpatient surgical facility. Dr. Greene is married and has two children. In his spare time he enjoys being with his family, playing golf and traveling. Please feel free to email him with any questions you may have. His email address is [email protected]. Please contact our Worcester Office for more information about our practice. Our front staff is ready to help! Central Massachusetts Foot Specialists, Inc.